Today we share a direct link to Download Galaxy Beta Program apk with that you can update Samsung Galaxy device to Android Nougat. Samsung already starts Android 7.0 Nougat beta testing for Galaxy S7 Edge via Galaxy Beta Program app and available in the galaxy UK store. If you want to become a beta tester for Nougat and can’t find the app then Download Galaxy Beta Program app from below. The Galaxy Beta Program Android app allows the user to register and access the latest version of Android (Android Nougat) and in return wants feedback and experience about performance, stability, and usability to improve the software. 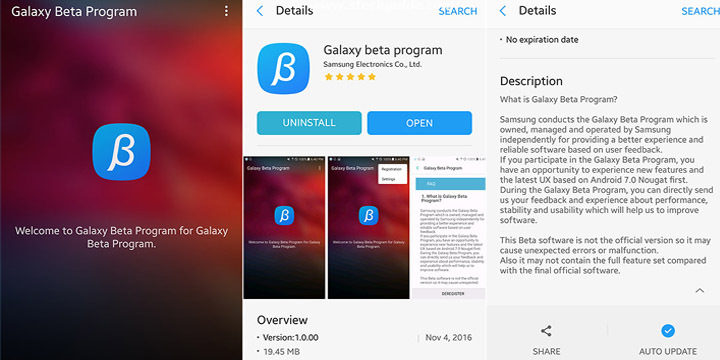 For now, Galaxy Beta Program app is available only for Galaxy S7 Edge users and expected to extend for more devices through mid-December. 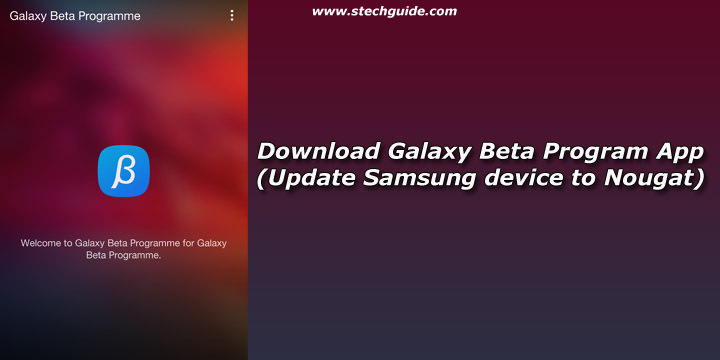 Download Galaxy beta program app from below. The Galaxy Beta Programme app available on Galaxy app store but with recent update it seems they remove the app. But for those who don’t download the app earlier, we share a link to download Galaxy Beta Program apk to enroll for the Nougat beta program. How to Join Galaxy Beta Program? First of all, you have to download Galaxy Beta Program app from Galaxy store or from above and install it on your device. Now create a Samsung account or if you already have an account then submit a ‘Galaxy Beta Program’ application form through ‘Registration’ menu on the top of the app. After completing the Galaxy Beta Program registration process, Go to Setting -> Device information ->download updates and click on the ‘Software Update’ menu to install the update. If the company roll out the official Nougat update and you want to use that version instead of your beta version, then you can easily cancel the beta testing program. To cancel Galaxy Beta Program, Go to Galaxy Beta Program app menu and select ‘Deregister’. After that install, the latest official version from Smart switch app or via Odin and check for official update. Unfortunately for now only Galaxy S7 Edge is available for Nougat beta testing but more device will be added soon, and then you need this app. So Download Galaxy beta program app and share it with you friends.